No longer do you need to buy bags of concrete and do the hard physical labour of mixing it yourself! 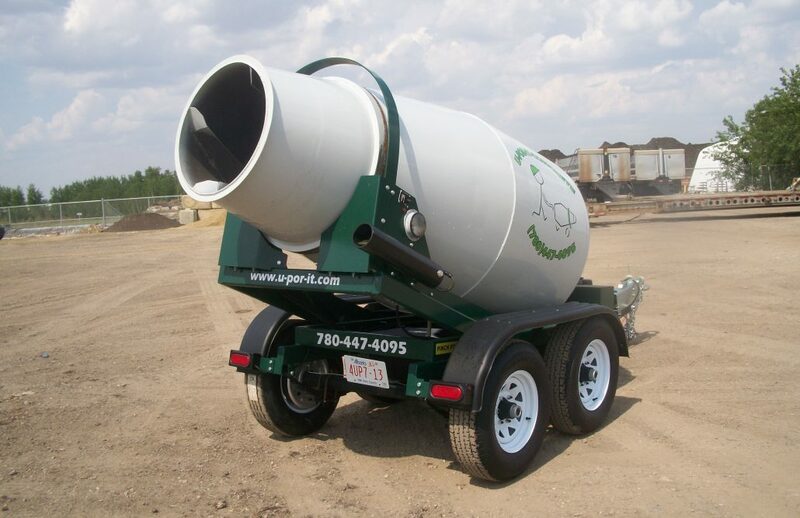 We load the concrete in the trailer and you are off with the concrete mixing and ready to go once you get to the job site. 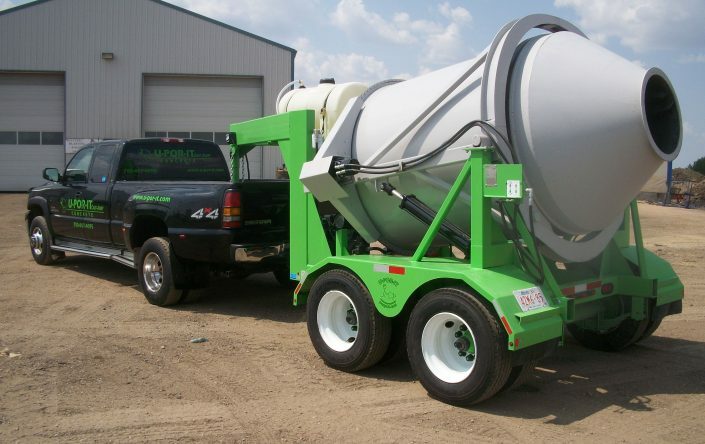 Start carting your own ready mix concrete and save money – or let us deliver it. General quantities range from 1/4 cubic yards to 2 cubic yards in 1/4 yard increments, we deliver 1/4 – 3 1/2 yards. 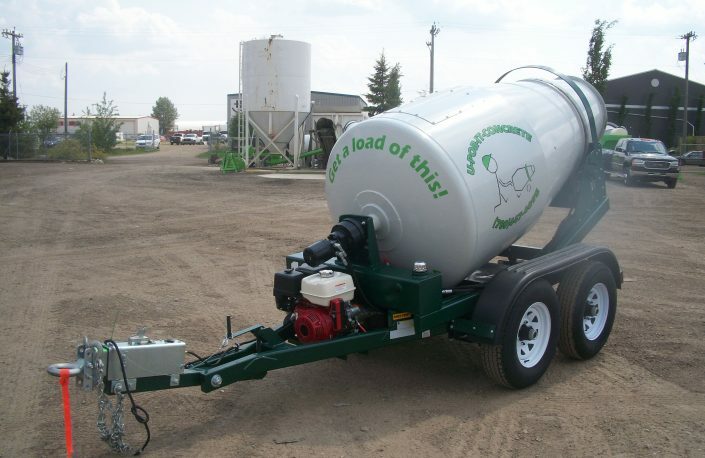 Our trailers are clean, efficient and easy to use. Plus the trailers can back over most surfaces without damage. 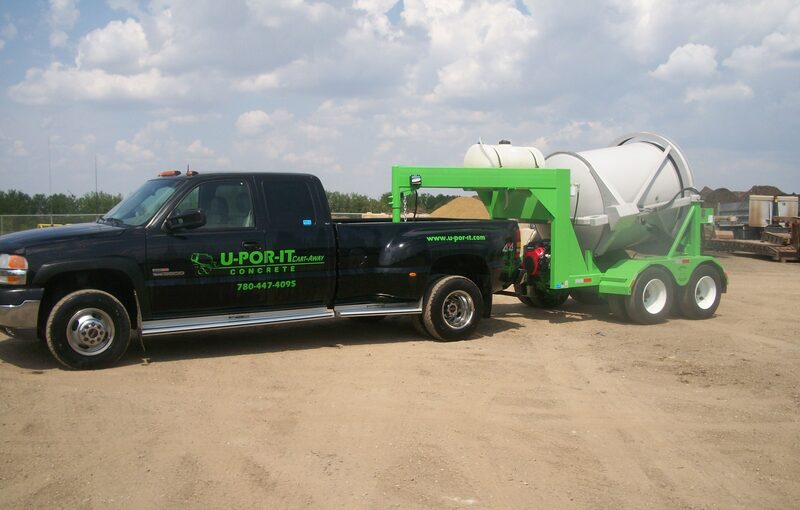 For customer pick up we recommend a minimum 1/2 ton truck with a 2″ receiver. We will supply a pintle hitch at no extra charge if you do not have one. Water is provided to rinse away the concrete and clean the trailer. If you have material left over, return it to us and we will recycle it.